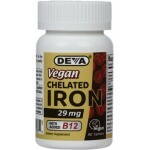 Deva Nutrition is proud to introduce its amino acid chelated Iron supplement with added Vitamin B-12, which is an important factor in proper RBC formation. 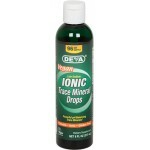 DEVA Vegan Trace Minerals is a mineral concentrate that contains over 72 naturally occuring ionic trace minerals from Utah's Inland Sea. 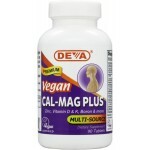 99% of the sodium is removed making it a "low-sodium" supplement.